A dozen Middle Eastern agencies have been shortlisted for this year's PRWeek Global Awards. 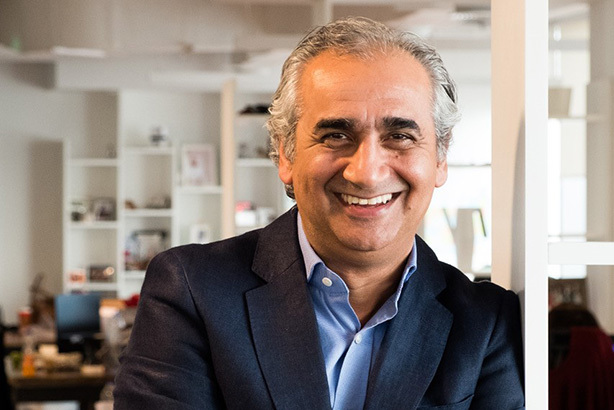 K+K MENA CEO Bashar AlKadhi is proud of his agency's nominations. The annual awards, which celebrate transformative work from across the world, have 33 categories covering campaigns, global PR programmes, agencies and individuals at agencies and in-house. In the Middle East, ASDA'A BCW leads the pack with five nominations, including Best Campaign: Middle East category and the Global Citizenship category for its 'Reaching out to Refugees’ initiative. It also scored nominations in the Global Integration category for its 10th Annual Arab Youth Survey. It has also been nominated in the Best Agency in the Middle East category and is the only regional nominee in the International Agency category. Close behind, Hill+Knowlton Strategies MENA scored four nominations - including three individual nominations in the Best Campaign: Middle East category for its separate campaigns; 'Keep it Pumping' for Novartis, 'Tango League’ – creating football influencers in the Middle East for Adidas, and 'The Super Six - GOSHxSuperhope for Great Ormond Street Hospital. It has also been nominated in the Best Agency in the Middle East category, vying against APCO Worldwide, ASDA'A BCW, Edelman and the Four Communications Group. Bashar AlKadhi, CEO of Hill+Knowlton Strategies for the MENA region, said he was "thrilled" by the nominations. "Our smart, imaginative colleagues are obsessed with developing award winning campaigns for our clients," said AlKadhi. "Our nomination for Agency of the Year also underlines the transformational and successful journey that H+K has undergone in the region over the past couple of years; with integrated campaigns at the heart of everything we do. I’m genuinely proud to lead such an outstanding group of colleagues who are setting very high industry benchmarks – every day." Other Middle East nominees include Qatar’s Education Above All Foundation and Abu Dhabi Department of Culture and Tourism (ADTCA) in the Best Campaign: Middle East category and Dubai Multi Commodities Centre (DMCC), in the Global Content category. ADTCA also received a second nomination in the Product Brand Development category, while Rashed Al Harmoodi, of Mubadala Investment Company and Ray Eglington, of Four Communications, will go head-to-head to be named PR Professional in the Middle East – one of the new categories in this year’s awards. The winners will be announced at a gala awards night on 21 May at London Marriott Hotel, Grosvenor Square. Globally, Weber Shandwick leads the shortlist with 15 nominations, including three for Who Sprinkled Salt on My Cake?, a campaign in South Korea for which McCann Health is jointly credited. Close behind is BCW, which has 14 nominations and MSL, which received 12 nominations.